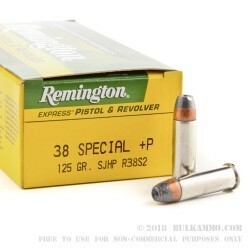 This 38 Special product, from Remington's Express line, represents a great choice for a self-defense load. 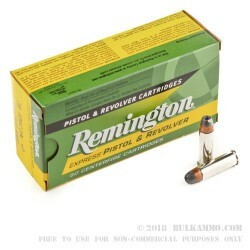 Remington's Express line is one of Remington's premium lines of ammunition which features exacting tolerances. 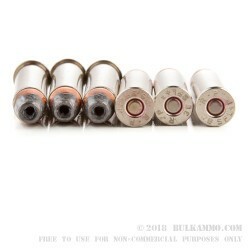 This 38 Special product is loaded to a higher pressure and features a semi-jacketed hollow point designed for controlled expansion as it encounters a target. 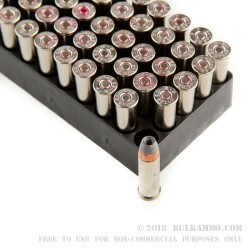 Remington uses some of the finest loading equipment in the industry and couples that with a ballistics laboratory that test fires ammunition from each batch they are producing to ensure that their ammo is performing as desired.